2 What is a cannabis farm? It might seem strange to see landlords and cannabis farms mentioned in the same breath. However a very real connection may exist and, when it does, the consequences for the landlord and his buy to let business may be dire. This brief guide aims to explain just what a cannabis farm is, the threat to landlords, and steps you might take to avoid the problem ruining your own buy to let business – not to mention your way of life along with it. The vast majority of tenants with whom you strike an agreement to rent your accommodation are likely to prove respectful and perfectly law-abiding citizens. A risk faced by any landlord, however, is posed by the rogue tenant who uses the let property for thoroughly illegal purposes. When that happens, the connection between a landlord and a cannabis farm, for example, is likely to prove explosive – be on your guard. According to a story in GQ magazine on the 25th of April 2016, cannabis is the most widely used of illegal drug in the UK. To meet this explosion in demand, cannabis farms in this country have boomed. The wholesale market in the drug in the UK alone is said to be worth almost £1 billion and, according to some sources, Britain has become a net exporter of cannabis. A notable feature of cannabis cultivation, however, is that most of its “farms” do not operate in fields in the open air, but are domestic enterprises, operating in what are to all intents and purposes, and from outside appearances, normal places of residence. Indeed, the cultivation of the cannabis plant actually works better indoors, where the plants grow faster under conditions where it is possible to provide 24-hour a day lighting, water from the mains, additional carbon dioxide from the atmosphere and closer control over the ambient humidity which allows the crop to “breathe” more easily. Cannabis is a flowering plant cultivated for the substance tetrahydrocannabinol (THC) it produces. THC is what is known as a psychotropic – that is to say, it has the capacity for affecting human behaviour, mental activity, and changes in an individual’s overall mood. This is the substance, therefore, which attracts the addict in search of the “high”. The plants may be grown in soil or hydroponically (water alone) provided the medium supplies sufficient nutrients – in the form of nitrogen, phosphorus, and potassium. Calcium, magnesium, and sulphur may be used as secondary nutrients. All nutrients are of course taken up by the plants through their roots. The ambient temperature for plant growth is in the range of 24 to 30º C – or the plants risk growing slowly or failing to produce enough of the sought-after THC. Although the light source needed to stimulate growth may be outdoor or inside, artificial lighting allows the crop to receive a controlled 16 to 20 hours of regular light, followed by 4 to 8 hours of darkness. Although there is some debate about the beneficial effects of including these periods of darkness, they are certainly needed in order to stimulate the flowering of the plant. The source of indoor lighting may be either high-pressure sodium (HPS) or metal halide (MH) lamps – although cheaper and more economical to run are light emitting diode (LED) lamps. Many domestic setups for the cultivation of cannabis use water directly from the tap, with any impurities in the tap water filtered out. Even better from the cultivator’s point of view is ready access to spring or well water. Air needs to circulate freely through the closely-planted crop, so extractor fans and ceiling fans are often installed by growers. As may be seen, therefore, conditions are favourable – or may easily be made favourable – for a cannabis farm to be housed indoors. Let’s see why you might hope it is not indoors of your own let property. The law takes an unequivocal stand on the question of cannabis. It is a “controlled substance” – a Class B Drug under the Misuse of Drugs Act 1971, as amended. There are penalties both for possession of the drug and for its production (cultivation) with the intent of supplying it. The penalties passed down by the courts vary according to the amounts of cannabis involved and the particular circumstances of the offence. According to the law, however, you may be sentenced up to 5 years in prison, ordered to pay an unlimited sum in fines, or both, simply for possessing the Class B drug. If you are found guilty of the supply or production of cannabis, you may face a prison sentence of up to 14 years, an unlimited fine, or both. An individual caught with only a small amount of cannabis on them “for personal use” may be dealt with by way of an official caution or a £90 on-the-spot fine. If this happens for a third time, the individual is likely to be arrested and prosecuted – with the possibility of their conviction and a criminal record to that effect. You may be prosecuted for either possession or for production and supply whether or not the drugs are actually yours. The law may say one thing, but its actual enforcement may be another. There remains a heated debate between those who argue for the decriminalisation of cannabis as a controlled substance and those who believe that the police could be doing more to stamp out its use and cultivation. In many respects, policing of the law tends to reflect this ambivalence. From time to time, for instance, press reports criticise certain police forces of being “soft” on the control of drugs – a story in the Telegraph newspaper last year for instance, reported that the targeting of individuals for possession or cultivation of small amounts of cannabis for their own use are no longer given priority by police in County Durham. The newspaper’s headline gave readers the – somewhat inaccurate – warning that the police had given cannabis users the “green light” for growing the drug. It may come as no surprise that the United Kingdom Cannabis Social Clubs (UKCSC), on the other hand, continues to criticise the current law in the UK for being “non-scientific” and “non-evidence based”. The number of cannabis farms in the UK seems to be growing year upon year. Crimestoppers, for instance, has reported a 150% rise in the number of farms detected by the police in the space of just four years. Each of these has links to serious and organised crime. Although precise statistics on the number of farms which may continue to be operating from rented property is obviously difficult to predict, an infographic produced by us here at Cover4LetProperty suggests that any landlord has a 1 in 165 chance of their property being used and detected by the police as a cannabis farm. As a previous section probably makes quite clear, you are likely to recognise a cannabis farm simply from the profusion of green plants, irrigation systems, lighting and ventilation fans within the property. That is all very well if you have access inside the property, but how easy is it to spot a cannabis farm from the outside, when it is a building owned by you or a neighbour? cannabis farms require a lot of power and energy – some of the cabling for that might be laid outside, underground, to tap into illicit supplies of electricity from street lighting or supply cable. No single one of these signs provides conclusive evidence of your or a neighbour’s property being used as a cannabis farm, of course, but a number of them may be enough to sound the alarm. If those alarm bells start to ring, it is essential that you call the police immediately – and refrain from tackling any of the occupants themselves, since they are likely to be hardened criminals involved in serious and organised crime. Interesting as all this information about the domestic cultivation of cannabis might be, how is it relevant to the life and work of a buy to let landlord? What’s the connection? it is unlikely to be a world in which you want to have any involvement or contact whatsoever. 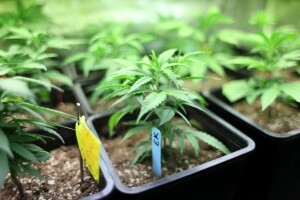 The risk of gaining a serious criminal record, the likelihood of your losing a considerable amount of money from the loss or damage of your buy to let property, and the alarming, potentially life-threatening consequences of involvement in someone’s drugs empire, all make it likely that you want to avoid anything to do with a cannabis farm on your property. Given the almost certain dire consequences of allowing your let property to be used as a cannabis farm, what counter-measures might you adopt against that risk? The risk might be something to keep in the back of your mind whenever selecting tenants for your property. A cannabis farm may be set up with relative ease within practically any residential building – but the more remote or hidden from public view, the better from the criminal’s point of view. Finding tenants who may be guaranteed to be completely above-board, law-abiding, model citizens may be a tall order and one that is difficult to secure, especially since the vast majority of those you may show around and interview for a tenancy are likely to be responsible and reliable individuals. Background checks are essential of course. Ensuring that you expose any information, which might give cause for concern, might take some imagination and forethought in advance. The questions you ask, the content and the tone of any letters of recommendation or reference are all important to helping you check the credentials and assess the future reliability of your tenants. You need to ask about their employment and might question whether the area they have chosen or the reasons for their wanting to rent generally tie in with the sort of work they do and their standing in life. If they have a busy, professional job in the city, for example, why are they interested in renting your remote cottage in the countryside? Beware of any unusual queries about your property. An unhealthy interest in the electrical supplies, for example, or questions about a private rear entrance might begin to ring some alarm bells. Appearances might be important, too. The prospective tenant who arrives to be shown around your let property in a very modestly priced part of town, is wearing an especially sharp suit and driving a car that might be described as flashy, may raise your eyebrows in suspicion. Of course you want to avoid falling foul of any laws on racial or ethnic discrimination, but the simple fact is that, after their home-grown British counterparts, the nationalities most likely to be involved in cannabis cultivation seem to be Vietnamese and Albanians, according to GQ magazine on the 25th of April 2016. You might also beware tenants offering to pay their rent in cash several months in advance – it might be a ruse to discourage you from calling around to the property to collect the rent in person or to disguise the source of the funds they are using. The careful selection of tenants may be so critical that you choose to appoint letting agents to handle every aspect of advertising your let property vacancies, interviewing tenants, taking up references and conducting background checks, drawing up the tenancy agreement and generally monitoring the smooth progress of the tenancy. Even though you have appointed letting agents, however, you retain every right to continue to monitor just who is being invited to sign a tenancy and to ask detailed questions about the scope and nature of the background checks that are being made. Anything that raises your suspicions is reason enough for you to ask the letting agent you are paying to start all over again and find alternative tenants. Although many landlord insurance policies may require that a landlord makes regular and recorded visits to the property, actually gaining access may prove more difficult than it seems. Unless you have made specific provision in the tenancy agreement for you to be given access under certain defined instances, the Residential Landlords’ Association (RLA) points out that the default position is for the tenant to be granted “exclusive possession” – in other words, the right to exclude you or anyone else from having access to the property. If you are gaining access for the purpose of making repairs, there needs to be a genuine reason and evidence of those repairs needing to be made. Whether access is gained through a provision in the tenancy agreement or with the express permission of the tenant, you might still be barred from entering a given room because “someone is asleep” in there. This in itself might raise your suspicions sufficiently to look even more carefully at the rooms you do have access to and look for unexplained holes in the wall through which cables or pipes seem to disappear or evidence of other equipment or paraphernalia. If your suspicions are sufficiently raised, of course, you have a duty to inform the police straight away – and not broach the subject of your concerns with the potentially dangerous and violent tenants themselves. Cannabis farms are a big – and illegal – business, run by organised gangs of serious criminals. The cultivation of cannabis indoors is relatively easy to achieve and the activity may be masked by growing the plants inside an otherwise entirely unassuming and ordinary residence. The problem is that that residence may be yours – one in which you have invested as a buy to let business. The law holds you responsible if you allow your let premises to be used for the production, cultivation, possession or supply of this Class B drug and the penalties are severe. Conviction may lead to the ignominy of a criminal record and substantial financial losses. There are ways in which you might help to avoid entangling yourself and your let property in the illegal activities of cannabis farming by your tenants – you might consider it wise to take them.